The Cyprus bailout deal, and the power wielded by Germany and the IMF in its orchestration, has scared small EU economies with big banking sectors, fearing they could be next. Germany and the EU’s heavy hand in the Cyprus bailout negotiations have drawn harsh criticism from its smaller EU neighbors. Breaking solidarity, Luxembourg - a founding member of the EU and euro zone - has accused Germany’s actions as ‘un-European’. 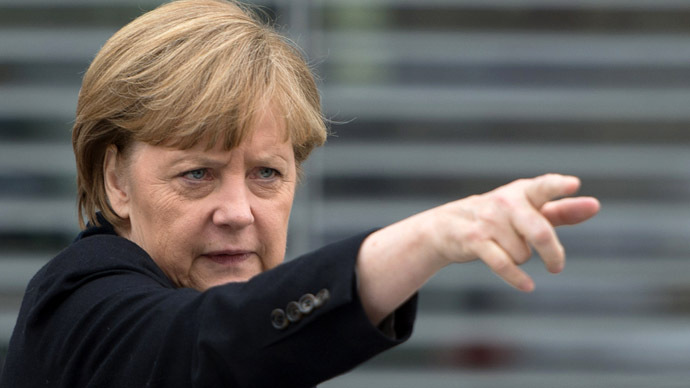 "[Germany and Merkel are] striving for hegemony which is wrong and un-European," Foreign Minister Jean Asselborn told Reuters. "Germany does not have the right to decide on the business model for other countries in the EU," Asselborn said. "It must not be the case that under the cover of financially technical issues other countries are choked." IMF President Christine Lagarde wanted to close down both the Bank of Cyprus and Laiki, but in the end, only Laiki will be shut down, facing losses of €4.2bn (£3.6bn) in deposits. The Bank of Cyprus liquid assets are still frozen, but are projected to lose 30%-40% of deposits. The EU is making wealthy depositors pay for the island’s bailout and has declared that the crisis has defeated the ‘business model’ of offshore tax havens. Largarde said the disparate gap between the Cypriot GDP and banking sector was ‘unsustainable’ and closing down Cypriot banks would set the new template for addressing bailouts: take aim at the deposits, not the taxpayers. The Cypriot economy was lambasted by France and Germany as ‘a casino economy’ and a ‘dysfunctional business model’. Cyprus and Luxembourg have a lot in common. Both have a large financial sector, both offer low corporate tax regulations, and both attract a large amount of foreign wealth. Both have carved out economic niches for their national economy, a process Asselborn says is crucial to maintain. Luxembourg is the wealthiest country in the EU and the second smallest, and its banking sector exceeds its GDP 23-fold. Cyprus was operating on a 7-fold scale. Relative to GDP, tiny Malta's banking sector is even bigger. "It cannot be that Germany, France and Britain say 'we need financial centres in these three big countries and others must stop,” said Asselborn.